Ruling comes in response to an appeal by the Israel Religious Action Center, the advocacy arm of the Reform movement in Israel, which represented both non-Orthodox movements. The ruling came in response to an appeal by the Israel Religious Action Center, the advocacy arm of the Reform movement in Israel, which represented both non-Orthodox movements. Mikvehs in Israel operate under the auspices of the Orthodox-run religious councils, and Reform and Conservative converts are often prevented from using them when questions about their affiliation arise. All the Jewish movements require immersion in a mikveh as a final step in the conversion process. “From the moment the state set up public mikvehs and made them available to the public – including for the purpose of conversion – it cannot discriminate among those who use them,” the High Court said in its ruling. The Reform and Conservative movements welcomed the decision, saying it was further proof that non-Orthodox Judaism was slowly gaining ground in Israel. Leaders of the movements noted that the High Court ruling came barely two weeks after the government had approved the establishment of a new egalitarian space at the Western Wall where Conservative and Reform Jews could hold mixed-prayer services for men and women. “This is another significant step toward full recognition of the Reform and Conservative movements in Israel, and we will continue our efforts to complete the process over the coming years,” said Rabbi Gilad Kariv, executive director of the Reform movement in Israel. Yizhar Hess, the executive director of the Conservative-Masorti movement in Israel, said the High Court ruling would spare non-Orthodox converts the humiliation of having to resort to devious means, as had often been the case, to obtain a key to the local mikveh. 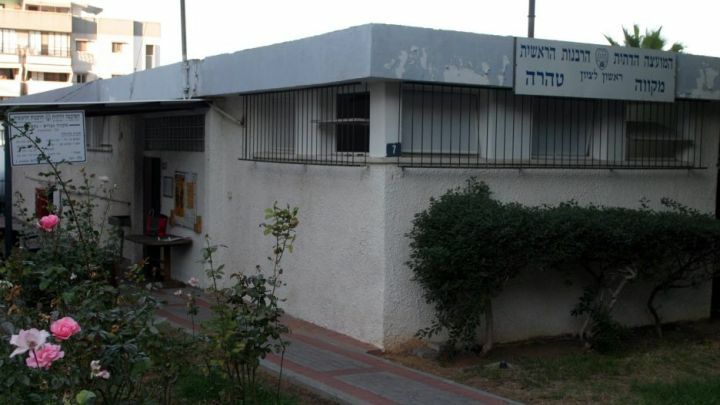 Responding to the appeal, the state had argued that since Reform and Conservative conversions are undertaken privately rather than through the offices of the Chief Rabbinate, the religious councils are not required to accommodate them. The Reform and Conservative movements convert several hundred non-Jews in Israel each year. These converts are identified as Jewish in the Population Registry, but since they are not recognized by the Orthodox-run Chief Rabbinate, they are not allowed to marry in the country..